Y&R star Kate Linder and her late husband, Ronald. Y&R star Kate Linder’s husband died and she shared about the loss on her personal website. “It is with a heavy heart that I share with you that my dear husband Ron passed away Monday night. To the world he was an author, an educator and an innovator, but to me he was the love of my life and will forever be missed,” Linder wrote on her official website. Ronald Linder was 77 and died peacefully on June 9th, 2017, according to his obituary. Related: Y&R was renewed by CBS–see how long your fave sudser is sticking around for. Ronald had a long career addressing public health matters after earning undergraduate and graduate degrees in Health Education and related fields. “Many who knew the couple [Kate and Ronald] were unaware of his impressive background and history as an educator, author, innovator and expert on many matters of public health and drug abuse treatment and training techniques,” his obituary read. Also: Gina Tognoni on how to make it in acting. Tristan Rogers (Colin Atkinson) Tweeted his sympathies to Linder. Tonja Walker (Olivia Jerome, General Hospital) also offered a supportive social media message message. See both missives below. At Soap Cities our thoughts and prayers are with Kate. Before You Go: Get to know Y&R icon Eric Braeden. 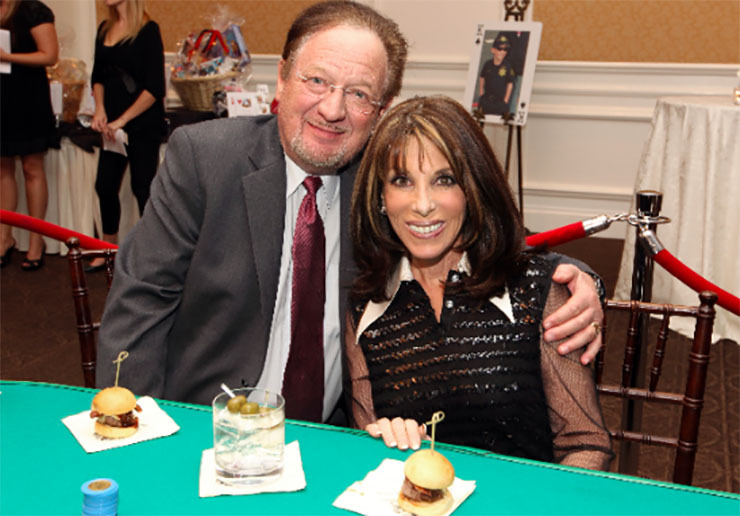 My condolences to my dear friend and colleague Kate Linder on the sad passing of her husband Ron. My total sympathy. Previous ArticleDays of Our Lives Spoilers, Thursday, June 22nd: Sonny’s the Man at Titan!